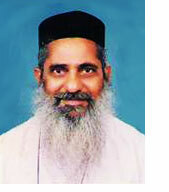 His Holiness Moran Mar Baselios Marthoma Mathews II, is the founder manager of this College. This college runs under the supervision of Educational trust run by Bethlehem Ashram, Chengamanadu. In this temple of learning where logos are integrated and holistic, we promulgate excellence through value based approach. Entelechy is a veritable euphoric experience in the serene portals of this shrine of learning. The educated youngsters who educate themselves to educate the future architects of the country get the optimum dividend for their materialistic and spiritual investments. Our results as well as the affinity of the alumni are axiomatic in this matter. Baselios Marthoma Mathews II Training College is a Self - Financing Educational Institution affiliated to the University of Kerala and recognized by NCTE, New Delhi. In this temple of learning where logos are integrated and holistic, we promulgate excellence through value based approach. Entelechy is a veritable euphoric experience in the serene portals of this shrine of learning. The educated youngsters who educate themselves to educate the future architects of the country get the optimum dividend for their materialistic and spiritual investments. Our results as well as the affinity of the alumni are axiomatic in this matter.